Taming a Savage Gentleman: Taming the Heart Series by Tammy Andresen is an extremely exciting Regency Romance. Book 5 in the “Taming the Heart” series, but it can be read as a stand alone. Some of the characters appear from previous books, but the reader will not be lost reading this one. An unconventional acquaintance leads to a a great deal of trouble for both the H/H in “Taming a Savage Gentleman”. This is the story of Flora, Baroness Segrave, a witty, beautiful, smart and weathy young lady, who needs a husband or so society deems in order to keep her and her mother safe and Tom Maddox, a second son and spare who lives his life outside the confines of society, to his families unhappiness, they are hoping a marriage will settle him down. He has been asked to look after Flora and her mother on their voyage to Scotland, by his cousin, Barrett Maddox, the Duke of Manchester. Then there’s the Earl of Loudoun, who wishes to court and marry Flora, he’s deeply in debt, ignoring fool it would seem and a gambler, whose lost everything unless he finds a weathy wife, and quickly. He meets Flora’s needs perfectly or so it would appear. She wants a man who will allow her to manage her estates, her herself without any inference from her husband. But things change…..
Well written with well developed charatcers, the banter between Flora and Tom is perfect, to this reader, definitely carries the story along, nicely. The plot flows smoothly and without gaps. The mystery, suspense, sensual attractions, and sea adventure makes this story fast paced, well thought out and perfect for an afternoon adventure. I was glued to the pages of Tom and Flora’s story from the beginning to the end, definitely a most entertaining Regency read. Once again Ms. Andresen met my expectations with her witty banter, her characters and her enticing and endearing plot. A wonderful story of romance, trouble, a bit of danger, finding love, and redemption. “Taming a Savage Gentleman” has something for everyone. A quick, enjoyable and most satisfying Regency. I can’t wait to read the next adventure. Tammy Andresen is another of my favorite Regency authors, she never disappoints me. I always look forward to her next inspiring story. Another great read by Tammy Andresen!! 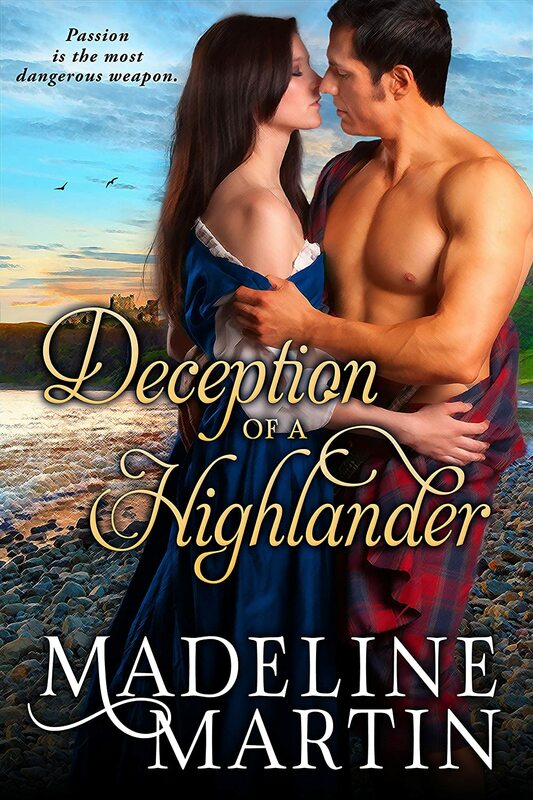 With her betrothed coming to claim her hand in marriage and a distant cousin intent on usurping her earldom, Lady Sara Caiser feels beset by controlling men including two lawless border reivers who serve as her protectors. Despite her misgivings, an undeniable attraction pulls her into Sir Geoffrey’s arms. The man is more dangerous than she believed, for he’s noble, caring and sinfully attractive. As the threats against her continue to mount, Sara must decide what’s more important—her duty or her heart. The Thief’s Countess by Cecelia Mecca is an addictive and brilliantly written story of honor, duty and love. Book 1 in what promises to be an extraordinary series, “Border” series. See the prequel, “The Ward’s Bride”. Set against the Anglo-Saxon border in the 13th century (1271), Northumbria, England. What a great Medevial Romance! a Reiver, who needs to reclaim his inheritance, who seeks his revenge and Lady Sara Caiser, a Countess, an extraordinary lady of good breeding, alluring and complicated, would find their HEA, with so much against them. However, Ms. Mecca manages to pull it all together in a dramatic and heart felt ending. I loved these two characters, they were so caring, honor bound and determined to make the best out of the hand life dealt them. The secondary characters were perfect, Geoffrey’s Uncle Hugh and Sara’s lady’s maid, Faye, were perfect together, even in secret. Fast paced with historical details, much research, Medevial challenges and the pressures of Medevial life, brings “The Thief’s Countess”, to life and adds more intrigue to the story. My only complaint, the ending felt a bit rushed, but was satisfying, as well as, exciting. Many questions were answered. Filled with danger, suspense, mystery, intrigue, adventure, passion and romance. Everything Medevial Romance fans will love with twists and turns and a few surprises. I feel Cecelia Mecca is a new debut author to watch for, her writing is masterful, talented and an author I intend to follow. Her writing feels as if she’s been writing for years. Very impressive indeed! An outstanding Medevial Romance from a very talented author! I can’t wait to read Book 2, coming soon! A must read! Bravo, Cecelia Mecca! ! Brette: Intentions Gone Astray (Conundrums of the Misses Culpepper Book 3) by Collette Cameron is at times a humorous and compelling Regency Romance. While, Book 3, it can be read as a stand alone. I’d suggest reading the other two books in this fantastic series, I feel you would benefit from reading them to get the full benefits from “Brette”, there are some events, situations, and revelations revealed, that could spoil your entertainment, by not reading the other two books in this series, first, although, not necessary to enjoy “Brette”. This is Brette Culpepper and Alexander Hawksworth’s story. Brette, is new to society, and finds she rather enjoys the soirees, dancing, balls and the social whirlwind, until that is….a horrible rumor circulates, everything changes in her newly discovered social world. Alexander Hawksworth, aka Alex, is a handsome, witty rogue turned rector, relucantly, I mind add. But what’s a impoverished man to do to survive? He prefers the social world to prayers and sermons. Especially, after he meets the whirlwind named Brette. Then, he unexpectedly inherits an earldom, but his inheritance and freedom is threatened by rumors and innuendoes of him murdering the previous Earl. Brett, unexpectedly learns a secret that devastates her new found world, when rumors fly that she may be the illegitimate granddaughter of a peer, who has left her a tidy inheritance. Then, Alex learns that her newly appointed guardian is not a nice man, he intends to forcefully, if necessary, marry Brette off to an elderly despot man. He is after her wealth and cares nothing about her happiness or welfare. Whew, talk about roadblocks for a blossoming relationship! Can they overcome the obstacles thrown in their way or lose all to others actions? Follow, Brette and Alex on a whirlwind, sometimes, and devastating world, while, other times you will smile, with their witty banter, and their undeniable attraction to each other. Well written tale of life, love, and obstacles, but will they be able to find gold after the rainbow, after everything life throws their way? I enjoyed Alex and Brette’s story, it was not a typical romance, where the characters find love and live HEA, there are so many obstacles and ill will thrown in their path. Once again, Ms. Cameron has written a captivating, yet thought-provoking tale, where the road to happiness has many curves, and not a clear path. Whew, an awesome, lively, unlikely Regency romance, with many twists and turns. Bravo, Ms. Cameron! Brette, I think is my favorite of the magnificent “Conundrums of the Misses Culpepper” series, thus far. A must read Regency Romance by the never disappointing Collette Cameron!! Fans of witty banter, Regency Romance, and complicated stories, will definitely enjoy reading Brette and Alex’s story. Pick up a copy today to find out the twists and turns of Brette and Alex’s story, I think you will enjoy this masterfully written story, I sure did. #2 in the intriguing “Conundrums of the Misses Culpepper”, but can be read as a stand alone. Fast paced tale during the Regency England era, with schemes, and romance. Well written with engaging and interesting characters. Readers will find themselves engrossed in the opinionated, confident Miss Blythe Culpepper. Schemers find themselves in cohorts with each other, but will their schemes be flaunted by our dashing hero, Lord Leventhorpe? Although, our H/H find themselves hostile to each other, they also find their bodies are very much attracted to each other, but can lust find a HEA between these two very different characters? Will trying to flaunt a scheme, compromise, and disgrace Blythe or will she be saved by an unexpected hero? You MUST pick up and read this fascinating, complicated, engrossing, passionate, very entertaining and most enjoyable read! An engrossing story from the first page to the last page and long after you have finished reading. Once again, Ms. Cameron, will have her fans turning pages. She is an amazing storyteller, one who draws the reader into a different time and place. Another grand Historical Romance adventure! A must read for fans of Regency England, Historical Romance, adventure and readers who simply enjoy an enjoyable and satisfying read. Ms. Cameron’s storytelling just keeps getting better and better. Highly recommended! THE DUKE’S BEDEVILED BRIDE by Nina Mason. ..a review. ..